The status of women in ancient civilizations was dictated by religion and position, rarely impacting the everyday lives of everyday female interactions. For the vast majority of women in the Ancient world, daily life revolved around the home as caretakers of children or household managers. Historians that cite examples of powerful women usually rely upon exceptional females, often associated with religious rituals such as the Oracle at Delphi or Rome’s Vestal Virgins. Although the Mediterranean pantheon of goddesses reflects power and cult-following, their example inspired upper class women as well as men, as in the case of the cult of Isis. The lives of everyday women were scarcely affected. The realm of religious practice was often an open door for exceptional women to find their own value within a culture that clearly defined feminine roles as subservient to masculine models. 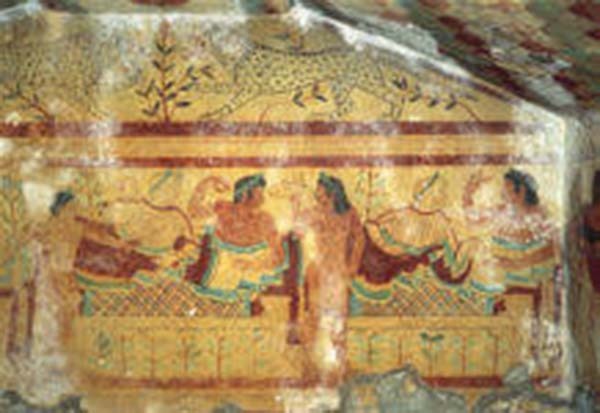 Thus, historians point to the Minoan civilization which appeared to feature a number of female deities, giving rise to the conclusion that women in Knossos benefited from religious gender democratization. Minoan “bull dancing,” for example, featured young men and women participating in acrobatic demonstrations that, according to some scholarship, related more to public exhibitions rather than religious rituals, as once believed. Sappho, the great poetess of the Ancient Greek civilization, gained a following on the island of Lesbos. Her habitat of emotional feminine relationships was as secluded as Delphi, albeit for different purposes. In “To Evening” as well as “The Moon,” Sappho celebrates the equilibrium of night, ending the “garish day.” The priestess at Delphi, on the other hand, was the channel between eternal truth and mortal inquiry. In Homer’s Odyssey, Odysseus encounters Circe, perhaps the most famous witch of the Ancient world. A daughter of the sun god and possibly Hecate, her powers were exceptional. Despite the higher status of women in city-states like Sparta, however, personages like Circe were set apart, in many cases directly related to important deities. Thus, for example, the widespread cult of Isis inspired the importance and veneration of other female deities. It is fanciful to indulge in the speculation that female participation in Greek city-state government such as the Athenian assembly might have changed history. The fact is that women were not viewed in this regard. Again, only exceptional women, atypical of the mainstream, influenced politics, usually through their husbands. This was partially true of Olympias, mother of Alexander the Great. Although some civilizations permitted divorce or allowed women to inherit, gender disparity remained the norm in most ancient societies. Only among upper class women could some deviation be found, but these related to exceptional, atypical examples. The majority of women were trapped in social constrictions, limiting their status and their collective voices.